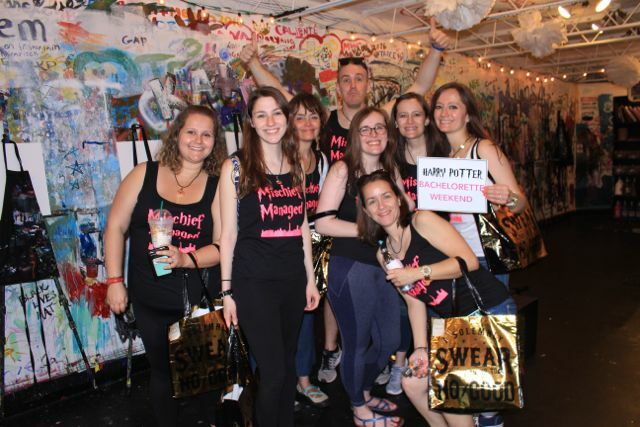 This past summer, my team and I planned a Harry Potter inspired bachelorette party for a Washington, D.C. bride and her bridal party of seven, where the Bride and her entourage embarked on a day long scavenger hunt in the heart of Georgetown. 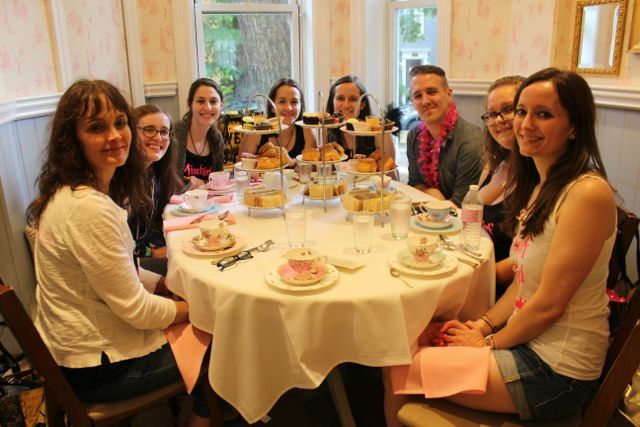 The Bride wanted her bachelorette party to be unique, with fun events planned for both the day and evening. 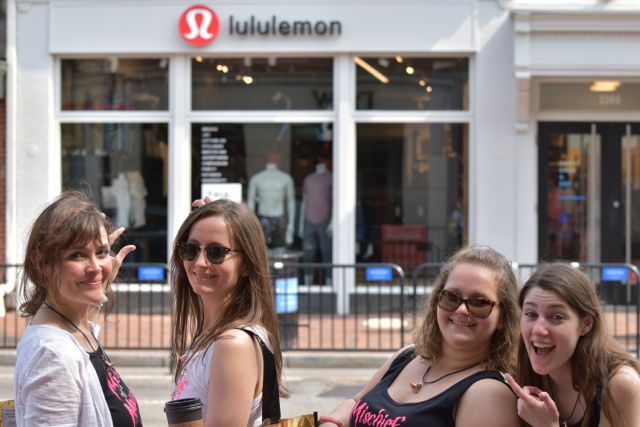 Her sister, the Maid of Honor, recalled hearing about a scavenger hunt my team and I put together in Virginia Beach and requested that we plan a movie-themed hunt for the Bride as a surprise. My team and I suggested the magical adventures of Harry Potter, one of the Bride’s favorite series. And what an adventure! The festivities began in the morning with an unexpected (but very precisely planned) visit from a daintily-clad male model playing the role of Harry Potter, complete with a realistic Hedwig sidekick and authentic Hogwarts necktie. Riding a broom, “Harry” surprised the Bride and her crew at their lodging in Georgetown and presented them with their very own Hogwarts accessories and themed tote bags stocked with snacks, drinks, custom maps, Harry Potter props and their first scavenger hunt clue. Divided into two “houses”, the ladies would spend the day decrypting riddles that would even make Ms. Rowling want to partake in the fun. A photographer trailed each group to capture the day’s shenanigans and to keep score. Each clue led the girls to a special destination where they found “Harry” ready to congratulate them and provide the next clue. The destinations included Starbucks (which my team contacted ahead of time so as to provide “special Harry Potter” drinks for the girls, with cups containing the next clue), cultural points of interest, the Bride’s favorite shops, a paint and sip shop where the group engaged in a painting session while they enjoyed a catered lunch paired with wine, historic gardens (where I arranged for the girls to take a tour as the Bride loves botanical gardens), a tea lounge (where the girls enjoyed a lavish “high tea”) and a posh nail salon (where the Bride and her crew were pampered after a day of exploration). At the end of the day, “Harry”, my team and I welcomed the Bride and her ladies when they returned to their Georgetown lodgings and presented them with mementos from the day, including a completed photo scrapbook for the Bride containing photos that the photographers had shot throughout the day, illustrated copies of clues and other memorabilia from the hunt. Contact me to plan your custom scavenger hunt!